Hit The Books - Illustration store PicsForDesign.com. PSP tubes, PSD illustrations, Vector illustrations. Today is the day to learn something new and with this kit you can do just that. 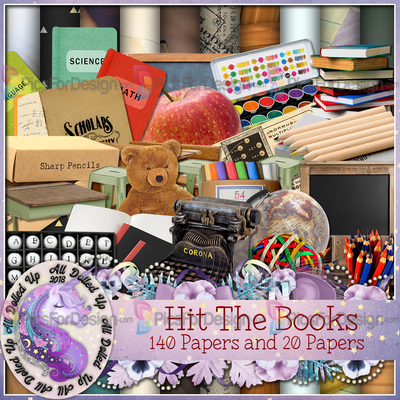 This kit contains 140 Elements and 20 Papers and will surely be a great addition to your kit collection. Not all elements are shown in preview. For personal use only.